Johanna recently graduated with an MFA in Dance from University of Illinois at Urbana-Champaign. As a dancer and choreographer, she has performed and created work in NYC since 1990. Johanna was originally inspired to train in Pilates while studying dance at New York University. At NYU she met Kathy Grant, a protégé of Joseph Pilates, whose work with the dancers was renowned both for increasing their physical capacity as movers and deepening their resilience in overcoming and even preventing injuries. In 1997 Johanna completed her Pilates certification with Deborah Lessen at the Greene Street Studio. She has continued her studies in anatomy with Irene Dowd and assisted Rebecca Dietzel’s Anatomy class at The Alvin Ailey School at Fordham University. She studies Alexander technique with Sigal Bergman and Rebecca Nettl Fiol, among others. Johanna’s Pilates teaching draws from classical Pilates and is informed by the evolution of the work integrating dance, somatic practices, and strength training. She uses these various approaches as tools to work with a wide range of bodies, from performers to people recovering from injuries. Johanna is interested in helping clients to better understand their body mechanics, as well as deepen and challenge their physical experience. 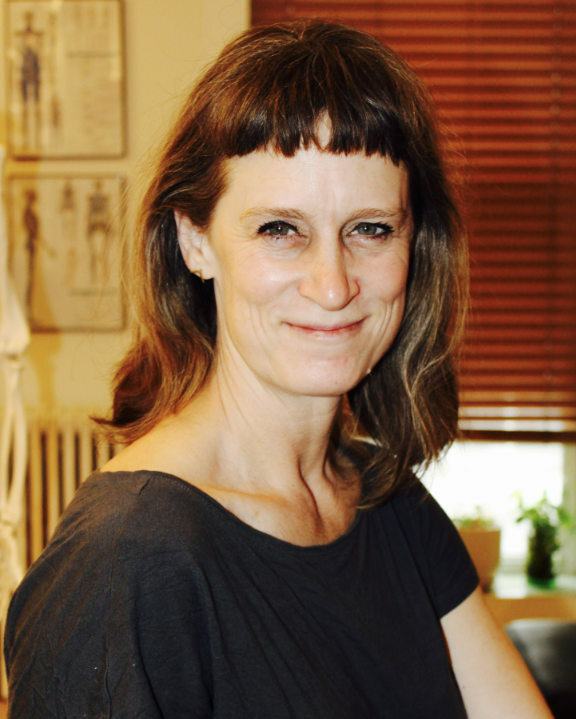 She works from micro to macro movements encouraging clients to experience the anatomy of joint release and subtle connections of the limbs to torso, while refining alignment and assisting the body in its natural recovery.